Just in time when our lips started falling prey to the chilly winds and turning Flaky, Dry and Bleed-y in serious cases, I'll be sharing my experience with Iraya Green Apple Lip Balm. Lip balms are the real life lips saviors in Winters when our lips vouch for moisture and nourishment and therefore stalking up our favorite lip balms in this season becomes one of our top priorities. Packaging Says : Blend of fresh, Tangy Green Apples with Nourishing natural oils & butters. 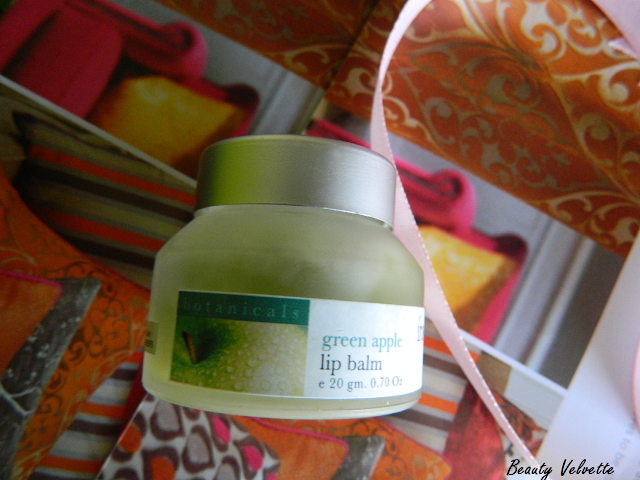 Ideal for protecting lips from Dryness or getting chapped. 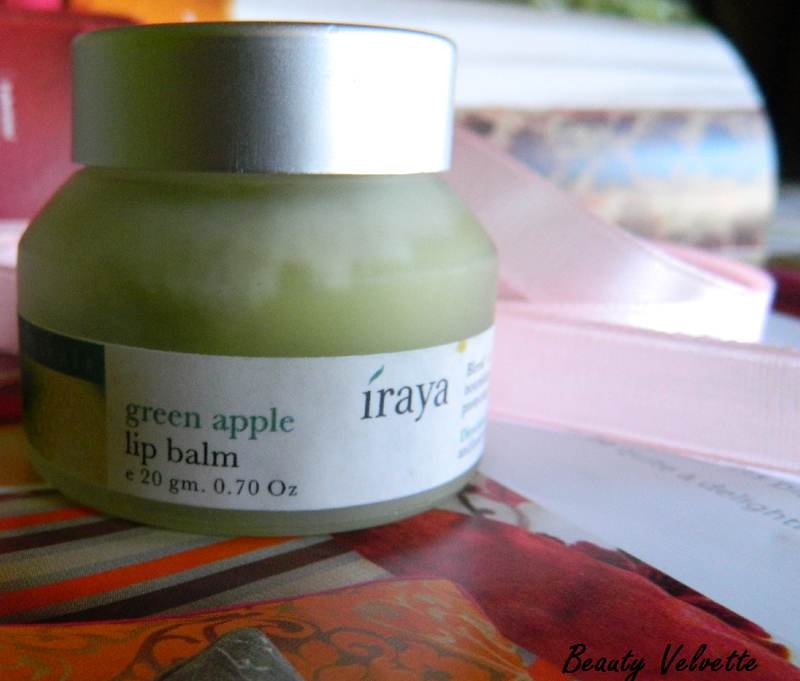 Iraya Green Apple Lip Balm comes in cute li'l transparent Glass jar which is neither too heavy nor light with a screw on lid opening. This particular Lip Balm falls under Iraya's Botanicals range which includes Body, Face & Hair care products as well. The lip balm comes in two other varients namely Orange & Citrus and Vanilla & Whole Milk and can be bought from their Online store here. 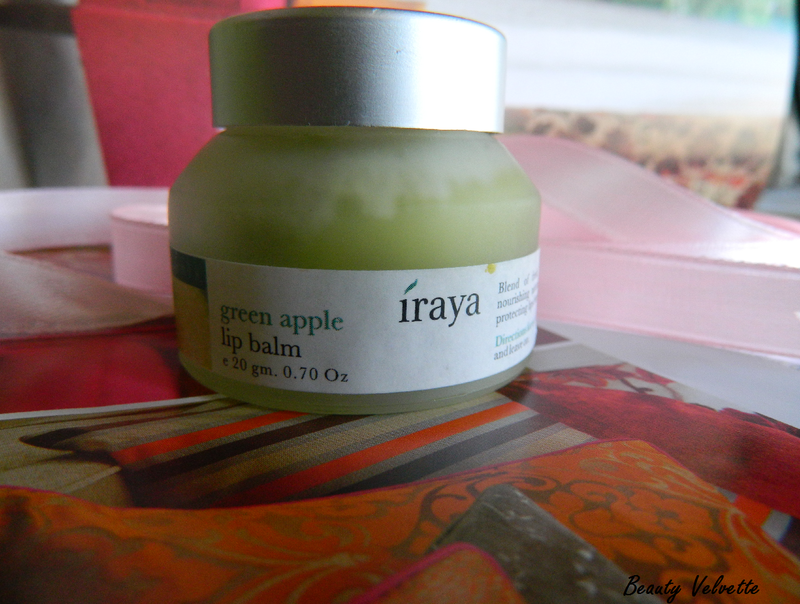 Iraya Green Apple Lip Balm is a nice sheer balm with a wax-y texture and mesmerizing fragrance of raw apples and gives a whiff of Bees Wax as well when you concentrate on the fragrance. The staying power is average as One swipe of this Balm lasts for about an hour without eating or drinking anything with a sheer coverage and that's why atleast two swipes are needed for a good coverage and a better protection against flaky-ness and dryness. Can't say anything about it claims of keeping chapped lips at bay as I do not suffer from this condition. I feel the requirement of re-applying it after every an hour and a half or so and hence I feel that the balm should also come in easy to carry tubes because it is not practical to carry the glass jar with you all the time. It does make my lips feel moisturized, nourished and craving for more. The quantity of the product ( 20 gm ) is great against the price tag of Rs 245/- and will last for atleast 4-5 months. The only thing I found concerning is the whiff of the Bees wax it carries along with the fragrance of the raw apples whenever I open the jar but it doesn't release that smell once the balm is applied on the lips. 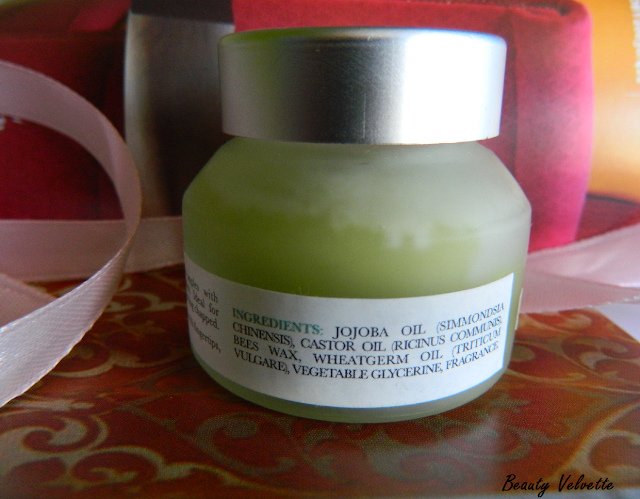 Blend of fresh, Tangy Green Apples with Nourishing natural oils & butters. 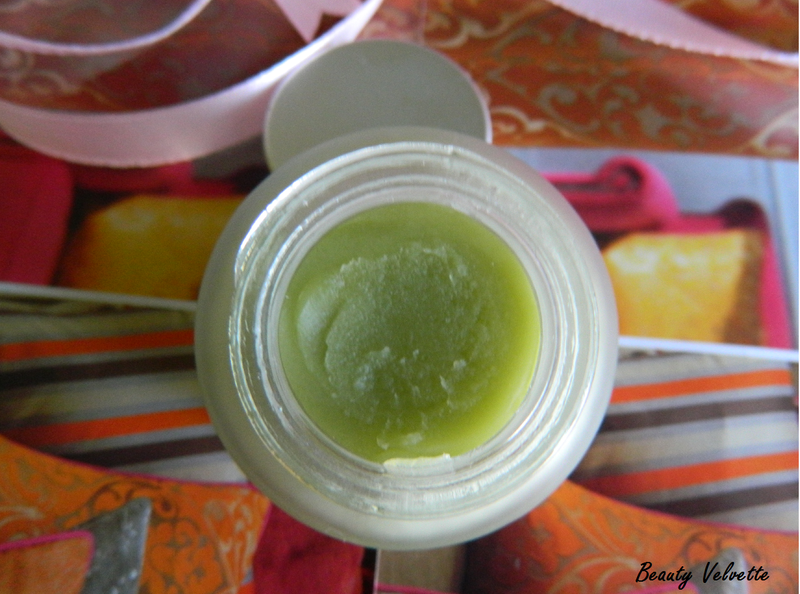 Ideal for protecting lips from Dryness or getting chapped. It definitely nourished my dry lips and protected them from drying further. Product sent by brand for honest feedback and my opinion on the product is honest. Good review with clear pictures. Keep reviewing.